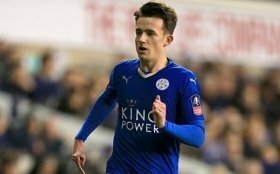 Manchester City are reportedly maintaining their interest in Leicester City defender Ben Chilwell with a view to an approach at the end of the season. The Citizens are said to be eyeing a new left-sided defender in their ranks with Benjamin Mendy struggling with injury concerns which have restricted him to just 13 league starts over the past 18 months. According to The Mail, the Mancunian giants are prepared to make the move to sign Chiwell next summer and they are willing to match the Foxes' £50m price tag for the left-back. Chilwell has made himself as the first-choice left-back with the Foxes this term and his impressive run of form has earned him a regular role with England after his debut in September. Overall, he has managed over 70 appearances for the club since making his debut three years ago. Out of those, 50 have resulted over the past 18 months where he has leapfrogged Christian Fuchs for the left-back position.